Can Pre-Pregnancy Fitness Cut Gestational Diabetes Risk? Can Pre-Pregnacy Fitness Cut Gestational Diabetes Risk? According to the Centers for Disease Control, every year 2 percent to 10 percent of pregnancies in the United States are affected by gestational diabetes (high blood sugar during pregnancy) and about 50 percent of women with gestational diabetes go on to develop type 2 diabetes. Therefore, it's important to take steps to prevent gestational diabetes. We already know that exercise during pregnancy can reduce gestational diabetes risk by decreasing insulin resistance and reducing weight gain. But, what if you could aim to reduce your risk before you even got pregnant? Researchers have found an association between gestational diabetes risk and physical fitness, suggesting that an increase in fitness prior to conception can reduce the risk of developing gestational diabetes. In fact, pre-pregnant women with high levels of fitness had a 21 percent lower risk of developing gestational diabetes than did those with lower fitness levels. Gestational diabetes is a type of diabetes that develops during pregnancy and is usually diagnosed in the 24th to 28th week of pregnancy. It occurs when your blood sugars are too high and, if not treated accordingly, can be associated with an increased risk of disorders, such as pre-eclampsia, hypertension, preterm birth, large baby and with induced or cesarean birth. Most of the time, gestational diabetes can be treated with diet and a consistent carbohydrate-controlled diet. But, sometimes when lifestyle changes do not get blood sugar to where it is safe for the baby, women have to use insulin. Diabetes management during pregnancy is extremely important for a healthy pregnancy and baby. Gestational diabetes goes away after the baby is born, however, once you've had it you are at increased risk of developing type 2 diabetes in the future. Exercise comes with a host of benefits, including weight loss and maintenance, improved sleep, reduced risk of heart disease and increased energy, to name a few. According to the study, published in Medicine & Science in Sports & Exercise, women with even a modest increase in physical activity lowered their risk of gestational diabetes by nearly 21 percent. 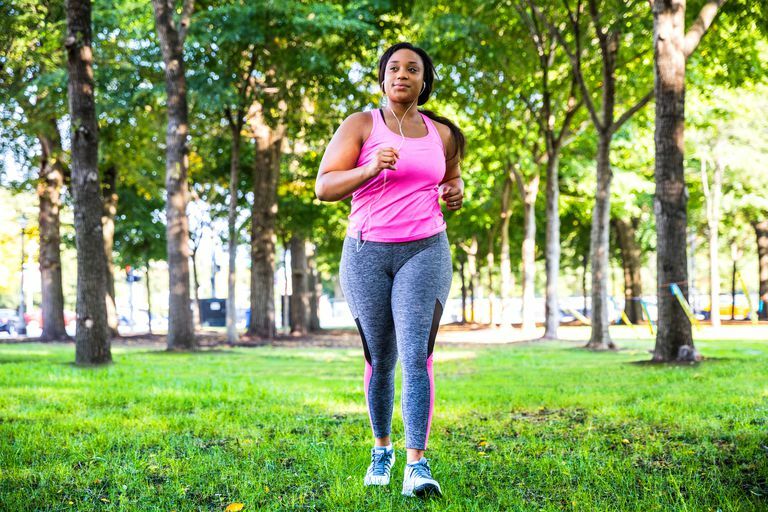 Oftentimes, women are afraid to start an exercise regimen once they conceive—making it even more important to start prior to getting pregnant, especially if they are already at increased risk of gestational diabetes. The study gathered data from 1,333 women enrolled in the Coronary Artery Risk Development in Young Adults (CARDIA) study who did not have diabetes either at baseline (1985-86) or prior to births occurring after baseline. Baseline fitness was estimated using a treadmill test and was expressed in metabolic equivalent (MET) units. Baseline moderate-to-vigorous intensity physical activity (MVPA) was measured using the CARDIA physical activity history questionnaire. The researchers adjusted for time from baseline to delivery and baseline study center, age, race, education, parity, family history of diabetes, smoking, alcohol, saturated fat intake, waist circumference, HOMA-IR, and HDL-Cholesterol. The women were followed for 25 years, during which time 164 women developed gestational diabetes. The chance of developing gestational diabetes was 21 percent lower for each one standard deviation increment in the baseline level of fitness. Pre-conception health is something that can increase fertility and aid in a healthy pregnancy for mother and baby. We have known for a long time the importance of diet in pregnancy. In fact, it is recommended to start preparing the body, nutritionally with prenatal vitamins, at least three months and even up to a year prior to conceiving. While preparing the body nutritionally for a healthy pregnancy, it makes sense to get moving, especially if you are overweight. Physical activity can improve insulin sensitivity as well as benefit those women who need to lose weight. Additionally, exercise can also help to lower cholesterol, which could be important for women wanting to conceive who have elevated lipid levels. A study published in the Journal of Endocrinology and Metabolism reported that women with elevated lipid levels, particularly small and very small LDL subfraction groups prior to pregnancy, were at increased risk of developing gestational diabetes. The American College of Sports Medicine and the The Physical Activity Guildelines for Americans recommends 150 minutes of moderate-intense exercise each week, which includes muscle training on two or more days per week. Aerobic activity (such as walking, biking, or swimming) should be performed in episodes of at least 10 minutes and should be spread throughout the week. But some exercise is better than none at all. So don't feel discouraged if you can't find the time to reach your daily recommendation all at once or every day. Before starting any exercise program, be sure to get cleared by your physician. If you are someone who is new to exercise, start slow and increase your duration and intensity incrementally. Aim to start with just ten minutes daily, and remember that all activity counts. The best type of exercise is one that you enjoy and can stick to. Motivation and accountability are good driving forces to get you started and help you stick to it, making it part of your lifestyle. Goal setting and partnering with a buddy can also help you to stay consistent. Brisk walking is always a great place to start. It's non-impact, you don't need a gym to do it, you don't need any special equipment, and you can do it any time and anywhere. Walking is particularly appealing, especially if you've never really exercised before. If you need advice about how to begin, seek advice from an online expert or from a local trainer. Preconception health is important for a healthy pregnancy and baby. If you are looking to conceive in the near future, starting an exercise routine may help to reduce your risk of gestational diabetes. Start small and build your way up, this way you can continue to move once you become pregnant and after you've been cleared post delivery. The benefits of exercise continue throughout the duration of pregnancy and beyond—reducing insulin resistance, increasing energy levels, and keeping weight gain to desirable levels. American Pregnancy Assocation. Preconception Nutrition. Center for Disease Control and Prevention.Gestational Diabetes.